"Thinking... Art. I just dress. Today? My heritage." 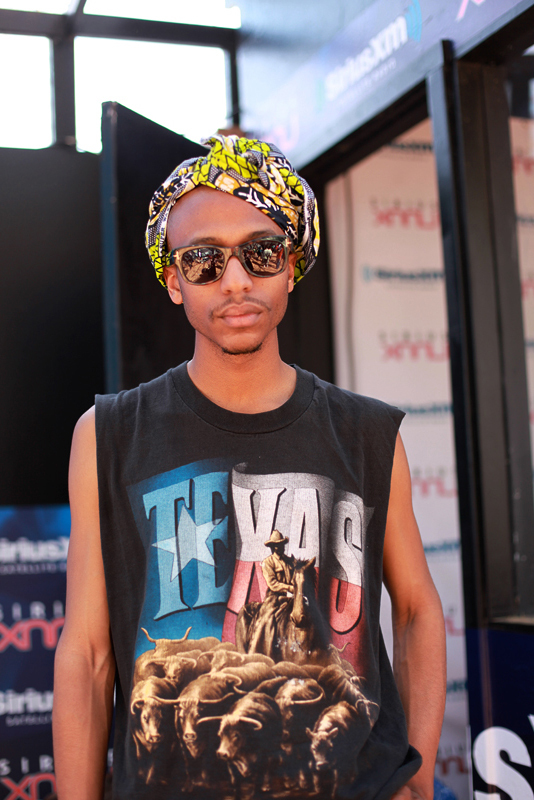 The Texas shirt with its proud implications, worn with an ethnic fabric turban? This outfit is inspired and witty at the same time. 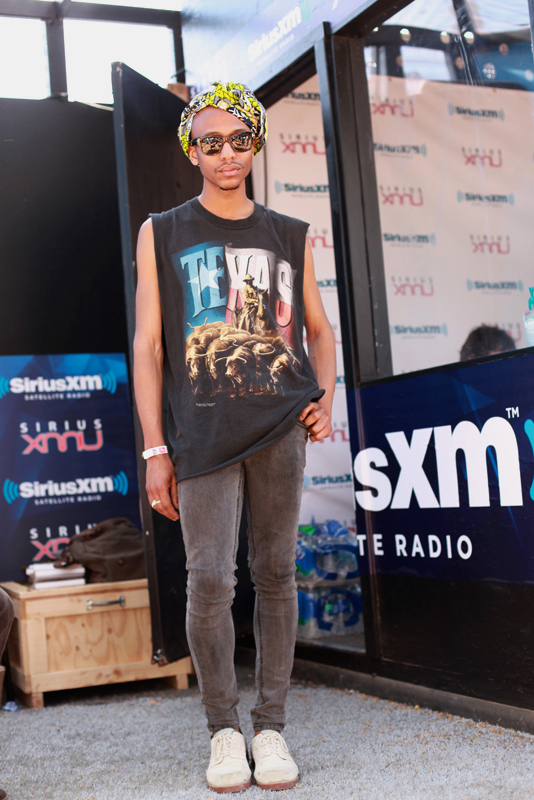 (I'd wear this outfit head-to-toe except for my lack of connection to either Texas or turban, which would then convey a very different message.) So, yay Jacorie! 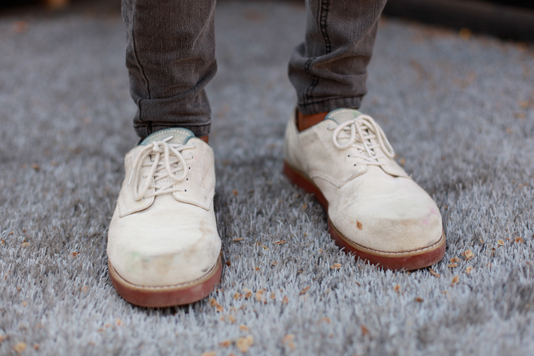 Oxfords showing an interesting weathered look. Very cool look! I've seen a lot of head scarves this spring, but this is the first on a guy.